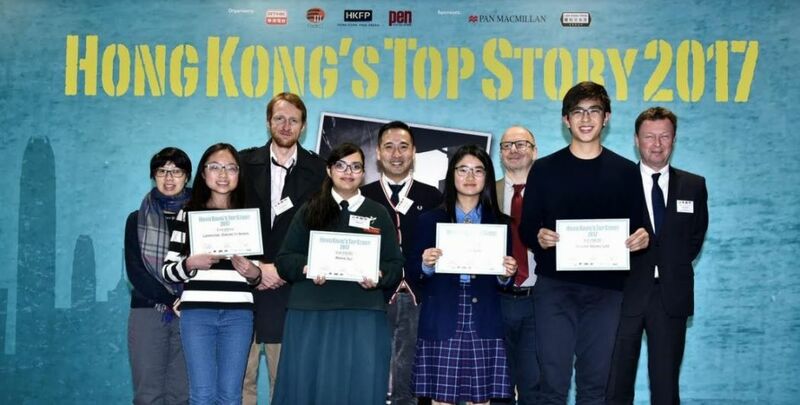 To promote expressive talent in English, RTHK Radio 3 joined hands with Hong Kong Free Press and PEN Hong Kong for the first time to co-organise the English writing competition Hong Kong’s Top Story 2017. From a record number of entries, the judges selected eight prize-winners in both the Junior and Adult Categories, with two more granted the Most Creative Award. An award presentation ceremony was on Thursday, January 11 at RTHK. 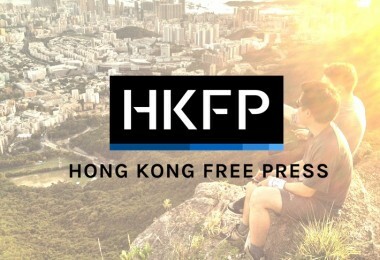 Today, HKFP shares the Junior category first prize winner. Stay tuned to read stories from the runners-up and Adult category. Jia flew across the room, smashing into the hardwood floor with a sickening thud. Her cheek burned where she had been hit, needles of pain jabbing into her skin. Tears welled in her brown eyes, the features of her face contorted into an ugly smirk. Her father stood over her, beer bottle in hand, glaring at her with those all-too-familiar sinister eyes. His hair was tangled and matted, a horrific smile etched on his face. He turned quickly on his heel, sinking back into the sand-colored sofa in front of the rusty television. 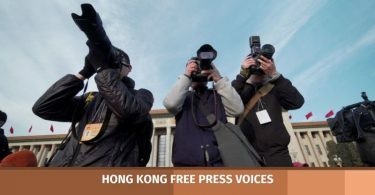 These beatings were common in the Kwok household, not a day went by without little four-year-old Jia having to endure horrors that no one should ever have to go through. Jia held back a whimper, slowly struggling back to her feet. She wanted so desperately to do something, but there was no salvation for her. No mother to protect her, no friends to care and no one in the entire world who gave her a second thought. So this was how she lived: helpless, alone and abused, with only the birds to keep her company. This was how she learned tolerance. Jia leapt from her mattress, sending dust and bugs flying into the sunlight that entered through a small window in the corner of the room. Her flowing black hair caught in the loose seams of her bed, sending her crashing back onto it with a giggle. She ran barefoot to the bathroom, gazing at her teenage features in a moldy, cracking mirror. Her face had matured quickly since she was a child, and she had blossomed into a beautiful young girl. She flinched as she heard the thud of her father’s footsteps, scrambling to hide in a corner. His head rounded the corner, his eyes glazed over with what seemed like a thin layer of cloud. He stared blankly for a few seconds before his wrist twitched, the coins which he had thrown clattering across the marble tiles. His head retracted, and his steps could be heard shuffling back to the study. Jia sighed in relief, picking up the coins that she assumed were to buy milk. She hastily rushed back to her room, slipping on a pair of tattered flip-flops before bolting from the house. As she headed towards the marketplace, she was met with a horrifying sight. A leper and her children lay in the street, their pus covered eyes struggling to open against the radiant sunlight. Their hands were stretched out, imploring anyone passing by for a shred of kindness. Jia’s eyes widened in pity, and she approached them slowly, her mind blank. She dropped the coins into the palms of their hands before turning to run, speeding back towards her home. Jia didn’t know what had made her do it, perhaps it was shock, perhaps it was an instinct. But whatever it was, it changed something inside her. And as the door to her home creaked open, she stooped her head, awaiting the beating that she knew was coming. This was how she learned generosity. Jia screamed, her father wasn’t breathing. She grabbed the phone, her heart pounding so hard she could feel it through her shirt. She dialed the numbers 9-1-1 with shaking fingers, panicked breaths escaping from her gasping lips. The next hour was a blur, she remembered police sirens wailing, blue, red, and the muffled voices of the paramedics as they burst through the door. And as she sat next to her father on the ambulance, the freezing metal of the seats plastered against her legs, the regular beeping of the machines around her began to slow. The sound of his heart flat lining filled the tiny back room. She placed her pale hand on her fathers wrinkled forehead, and a single tear leaked from the corner of her eye as she waved away the medics. There was nothing they could do. And as her father slipped away into the arms of death, she held his hand, heaving sobs racking her slim frame. Wishing that just for a moment, she could have him back. This was how she learned forgiveness. Jia sat next to her fathers grave, rain drops pattering down around her. Her breath formed little clouds, the brittle winter air biting into her skin. In her hand she held a bouquet of flowers, not minding the sting of the roses as they sunk into her skin. She chanted a prayer for her father before laying the roses at the foot of the grave, the icy wind blowing little flecks of snow onto her red lips. She started in shock as she felt someone slip onto the bench next to her, she snapped her head towards him, her brow wrinkled in confusion. A handsome man set next to her, his blue eyes gazing into hers. Jia didn’t know, didn’t need to know who he was. Something about this man seemed to resonate within her. And without saying a word, they silently connected through some unknown force. She parted her lips to ask him who he was, but she was met with a singe one of his fingers resting on her lips. Jia closed her eyes and sank onto his shoulder. And this was how they sat for hours and hours. This was how she learned harmony. Jia grinned from ear to ear, it was the perfect day for a wedding. Balloons and streamers floated through the air, a mixture of blue, pink and white. A cool breeze blew a few strands of hair from her beautiful face, her wedding dress flowing behind her like a river of marble. The smell of fresh cut grass filled her nostrils, and the hum of the wedding guests continued as they adjusted their ties and hair bows. All heads turned as the wedding bells began to chime, she let out a breath of excitement and began walking down the aisle. Although it was only a matter of 20 meters, it felt like an eternity before Jia reached the pagoda, her hair dazzled with sapphire and gold. Her husband stood at the top of the steps, his blue gaze beckoning her. Her feet ascended the shining white steps towards him, excitement building with every step. She quickly glanced behind her, looking back at the hundreds of smiles that greeted her. She still couldn’t believe that all this had blossomed from that one moment that her soon to be husband had sat next to her in that dreary graveyard. She ascended the last few steps with a bounce, her lips quivering in anticipation. And as her fiancée lifted her veil and stared deep into her eyes, her heart did a little twirl inside her. This was how she learned love. Jia screamed as the car skidded across the frosty road, the wheels scraping along the asphalt. The glass of the car windows shattered as the truck smashed into them, crumpling their car like paper. Jia’s head slammed against the dashboard as their car flipped into the air, the sheer impact jolting her into unconsciousness. And as the world faded to black, all she could hear were the screams of her five-year-old son in the back seat. Jia awoke, but found that she was unable to move. Blood trickled into her mouth, the metallic taste of it overwhelming her senses. She heard loud ringing in her ears, and pieces of glass had embedded themselves into various parts of her body. Her legs were trapped by crushed metal, and as she looked downwards, her mouth opened in a silent cry of agony. Her pregnant belly had been crushed against the car, her stomach impaled by a steel rod that passed directly through the skull of her unborn smile. She turned to scream for her husband, only to find that the side of the car which he had been sitting on had been ripped clean off, leaving nothing but entrails scattered on the icy ground. Jia tried to swivel around to make sure her son was fine, but the sheer agony that this caused was unbearable. She winced as the pain began to build, and sank back into unconsciousness against her will. This was how she learned loss. Jia had once had visions of the future. Of how she would marry a rich, handsome man, live in a huge home, have two children and live to a ripe old age. All this would have come true if it wasn’t for that fateful night. The night that her life may as well have ended. Now she was a single mother of one with almost no money; her rich relatives had bombarded her with the best lawyers there were, stealing the money that belonged to her. At first Jia had tried to fight back, but without her husband’s last will and testament she was soon forced to give up. Her son was now 17, and she was working double-shifts at a dingy little restaurant to provide for his college funds. As stress began to set in, so did age. Her features had begun to soften, and her once bright eyes had dulled. Little wrinkles had begun to creep onto her face, and the inevitable demons of sickness and weakness had begun to plague her. But none of these things were enough to stop Jia, she worked as much as her body would allow to support her child, throwing her life away to nourish her son. This was how she learned strength. It took Jia all of her remaining will and strength to return to her childhood home. Her body, now that of an old woman, was now riddled with the complications of old age. Her hair was silver now, and liver spots wove their way down her arms. She needed a cane to walk now, her legs had folded beneath her after years of work. Although age had finally caught up with her, she still possessed a beautiful smile, and the twinkle in her eye that had been absent for so many years had now returned. She was now blessed with two grandchildren; her son had gone on to become a successful businessman. The little car that belonged to the man who had driven her there rattled to a halt, tiny particles of dust puffing up from the seats as it did so. The driver opened the passenger door for Jia with a click, and she grunted in effort as she got out of the car. She handed the driver a few notes with her unsteady arthritic hands, and gave him a nod before hobbling down the stone path. The streets of her home were emptier than she remembered, but they were still filled with the familiar smell of barbecue smoke. She stepped past a puddle, and in a second she briefly saw the face of a child reflected in the murky water, a pale, round face. An almost unrecognizable face staring back. Her face. Time had gone by so fast. In an instant, her life came rushing back to her, images and memories pouring back into her mind. As these images faded, a final piece seemed to click into her heart. She let out a deep, long sigh of relief, something inside her had finally been completed. She had learned to accept and let go. 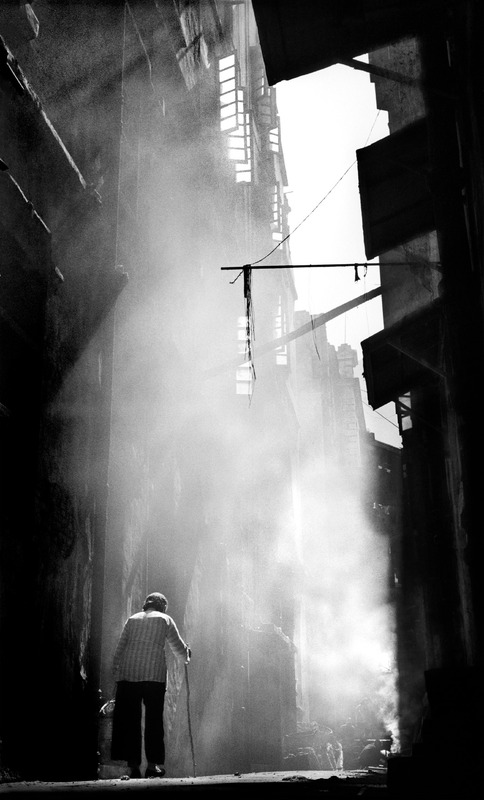 And as she continued to hobble down the smoky streets of her childhood, a smile spread across her face. She had found meaning. 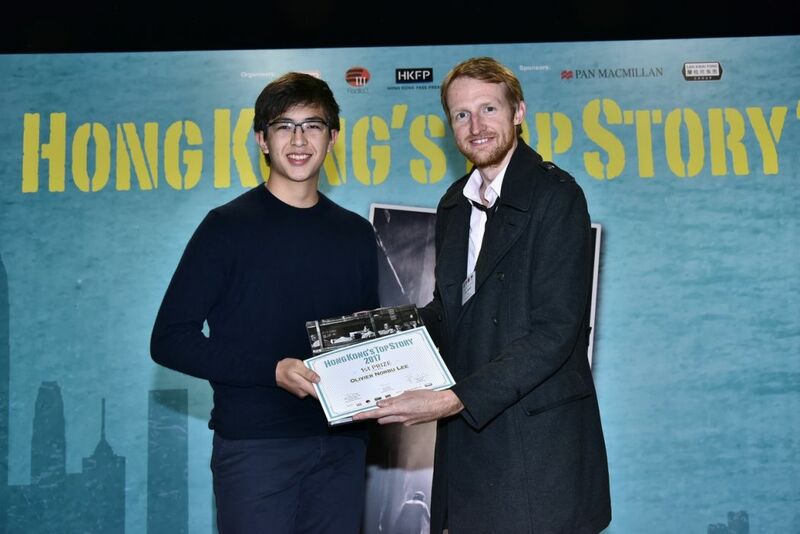 Winner Oliver Lee and HKFP’s Tom Grundy. 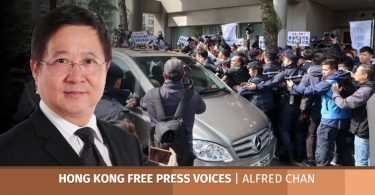 Photo: RTHK.